Twenty years ago, it was tough to launch a startup. Computers were tied to servers. Office space was on long leases. Flights to even nearby European cities were expensive. The advent of the cloud, the flexibility of shared workspaces and the explosion of low-cost airlines mean the costs of setting up have tumbled. Now you can launch your startup at university and choose “entrepreneur” as a career. The only problem is that everyone else has the same idea. “There are just too many startups, many of which should not exist,” says Serge Taborin, a startup founder himself and now Group Digital Innovation Director of global insurance company Aviva. One way for startups to ensure that they are the one to make it is to work with corporates. “What startups want is a gateway to growth, to play in a bigger market and get the exposure,” says Ken Valledy, co-founder of Progressive, a consultancy that matches corporates with startups’ innovative technology. Corporates with their loyal customer base built up over many years provide an access to customers that is difficult to match. “Microsoft takes startups to large companies they would not get to meet,” says Chad Fowler, Microsoft’s General Manager, Developer Advocacy, of the company’s joint sales engagements with startups. And corporate customers are remarkably loyal. Just think of energy suppliers or banks in the UK where sheer lethargy deters most customers from changing their supplier or moving one account to another. Legacy business is good business. How do you get through to the right person at a corporate? “You can bang on a corporate’s door but no one will have heard of you. Or get huge funding and buy yourself some noise,” says Seni Glaister, the founder of WeFiFo, which connects amateur and professional chefs with paying guests in people’s homes, pop-ups in shopping centers or supermarket cafés. Her startup has now participated in two corporate accelerators – JLab, with retailer John Lewis and supermarket Waitrose, and Intu Accelerate, with property company Intu. The sheer longevity of corporates means they’ve made their mistakes and corrected them in the distant past. “So much of what corporates have done has been checked at every level that their processes are really rigorous. For customer services, they’ve dealt with a million complaints and this is where they have landed,” says Louise Rogerson, founder of Howz. Howz learns the routine of elderly people living independently through appliances, doors or motion picked up by sensors in the home and reports any changes to family members or carers. Rogerson participated in EDF Energy’s corporate accelerator Blue Lab, working with it on the security of Howz. “It’s always less scary if the request comes from a well-known brand such as Waitrose,” says WeFiFo’s Glaister. Many of the 200 fintech startups accommodated in Canary Wharf’s Level39 shared workspace either work already with the financial institutions that make up the majority of its occupants or hope to do so. “They can stand shoulder to shoulder with a finance company without being in a bedsit,” observes Ben Brabyn, Head of Level39. As a startup scales – from say six to eight generalists chatting to each other across one room to 15-20 people, many hired for particular talents – it is then that founders need to implement a management system to ensure communication remains shared. It’s an argument made forcefully by Matt Mochary in The Great CEO Within. Startups working with corporates have an ideal opportunity to observe how their larger cousins have organized themselves over time. “Creating good habits is what made corporates built to last,” suggests Khi, abridging one of the key arguments in Jim Collins’ Built To Last. “You’ll be pitching to people who really know their stuff so they ask you really tough questions that test your ideas,” says WeFiFo’s Glaister who had the opportunity to present to the Waitrose board during JLab. And there’s corporate etiquette about presentations that are worth noting. 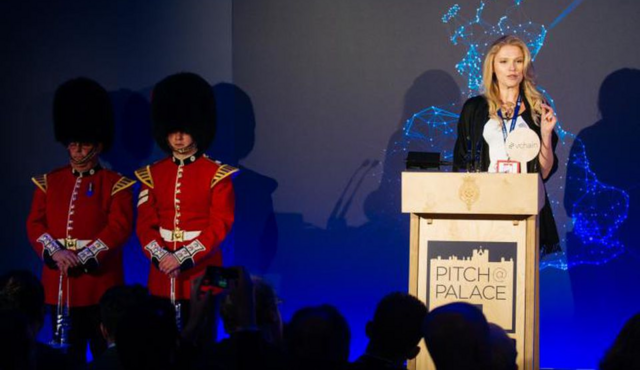 “British Airways is really mindful of how it engages with stakeholders, asking in presentations ‘does this slide mean something to you?’ Startups do not take you with them often enough,” adds VChain’s Khi, winner of Pitch@Palace 9.0 early this year. When former Uber boss Travis Kalanick got into a dispute with one of the company’s own drivers, the encounter was filmed and posted on Bloomberg. “The criticism we’ve received is a stark reminder that I must fundamentally change as a leader and grow up,” said Kalanick in his apology following the disagreement. “This is the first time I’ve been willing to admit that I need leadership help and I intend to get it.” A few months later, Kalanick resigned from the company following demands from investors. A startup founder can grow their business from an idea to a unicorn, valued at over U.S. $1 billion, without having experienced any other leadership than their own. A person in the corporate world will have seen many types of leadership – some good, many bad – before putting on the mantle of leader. “The biggest challenge for startups is that they grow. The original founders stop being entrepreneurs and become managers. Some don’t make it. So my advice is always to understand when you are transitioning and if you cannot manage HR or employment issues, be aware early enough so as not to damage the business,” says The Bakery’s Andrew Humphries, of the Bakery which matches corporates with startups.